It’s a common misconception that the rustic design style is clunky and out of date, a throwback to a less style-savvy era. But that's not at all what the rustic look is about. Instead, it emphasises free-form shapes, natural materials, and the art of repurposing. Most importantly, it brings a sense of practicality and purpose that is beautiful in itself. When it comes to interior spaces, the rustic style is used to emphasise warmth and character through means of simplicity. 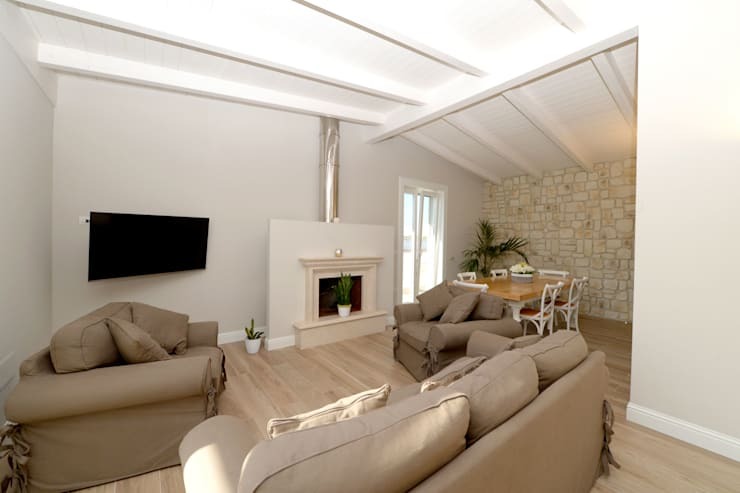 Rustic interiors have a “rough-hewn” charm that can look most appealing, especially in this day and age where just about every second house flaunts sleek and shiny surfaces. So, if you’d love for your home to enjoy some more rustic touches, then see today’s homify 360° discovery as tailor-made for you! What is more rustic than a stone-clad wall? This hallway leading to the bedroom flaunts a deliciously raw texture which adds a dollop of rustic charm to the wood and cream environment. The effect is earthy, warm and stylish. We’re on to the open-plan living area, which combines the living- and dining room. And what we want to focus on here is the colour palette. Brown is a tried-and-tested hue when it comes to the rustic style, but it can seem a bit hard and dry at times. Thus, for a relaxing environment like the living room, opt for one of brown’s many hues – like beige – to adorn your soft sofas. Stone makes another comeback here in the dining corner, although, admittedly, not quite as raw as the one we saw in the hallway. 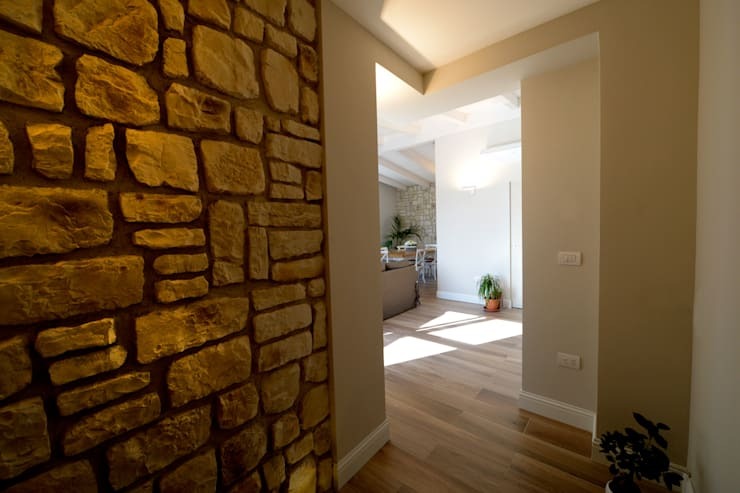 But seeing as this area is quite light and serene, a less “textured” wall surface was opted for – yes, the wall is still clad in stone, but look at its creamy colours. 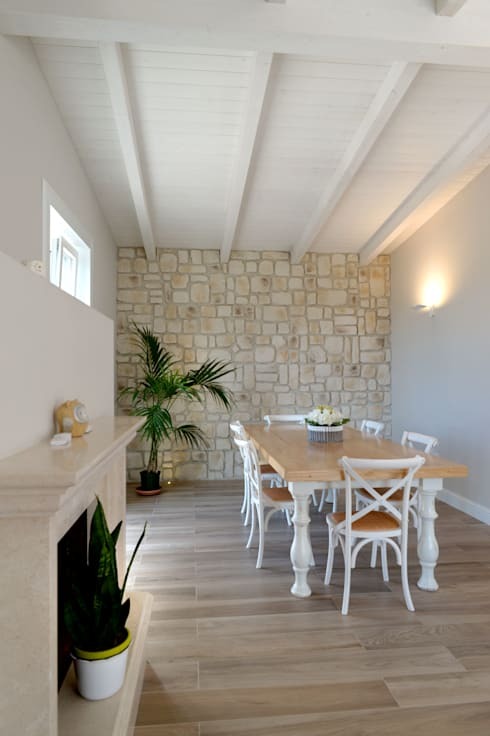 It flaunts a much cleaner and “softer” look, combining just perfectly with the whites and creams of this dining room. To further enhance the softness, potted plants bring about a lush touch – also a firm favourite among lovers of the rustic style. We know the importance of wood when it comes to the rustic style, but thankfully, wood is quite versatile in its appearance, which is why it can fit flawlessly into any design style. 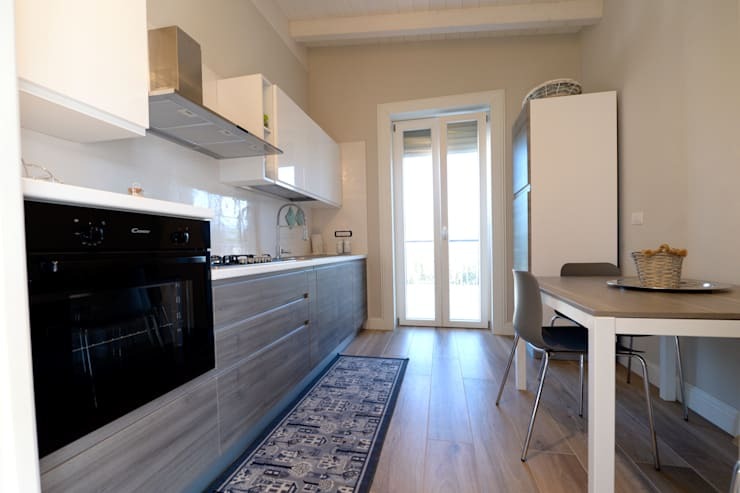 So, for this kitchen space (which also enjoys a softer kind of rusticity), wood in light beige hues was chosen for the walls, cabinetry and tabletop. 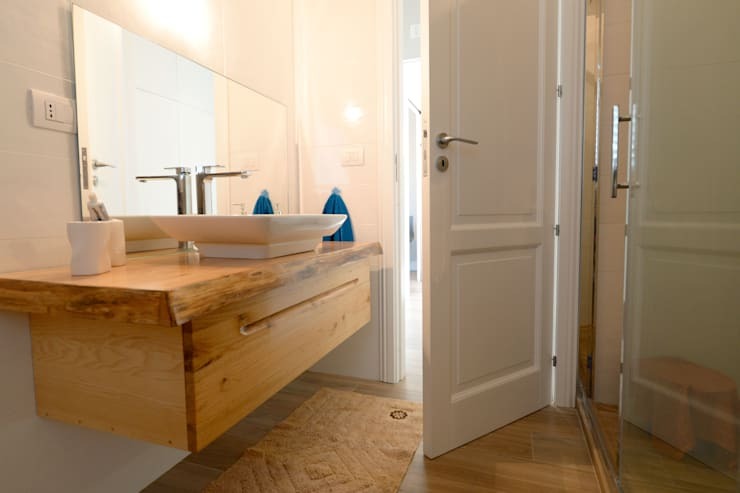 Golden light and smooth, white walls add a sense of sophistication to the bathroom – which, in turn, enhances the wooden surfaces (like the vanity) even more. And who says you can’t enjoy a few trendy elements in a rustic space? That large mirror (which lends the illusion of extra space) and crisp-white sink definitely disagree. For a room as intimate and private as the bedroom, you need to be very careful about the kind of colours and materials you bring into it. To enjoy a slightly rustic vibe which doesn’t leave a bedroom feeling too harsh, we recommend a light earthy colour palette, wooden floors, and then a splash of bright colour (like turquoise) for visual effect. And what do you know: that is exactly what this bedroom space presents! Have a go at these 8 unique bedroom ideas for a modern look. How do you feel about the rustic design style?